Are you looking to buy a condo in Sarasota Florida? You've just discovered the easiest way to search for condos online. Our website makes it easy to browse through all properties on the market including preconstruction opportunities and request information on your favorites. Compare pictures, virtual tours, prices and amenities before you visit. All real estate listings are updated daily from the Multiple Listing Service (MLS). To learn more about any of these apartment buildings or receive email updates when new listings hit the market, simply give us a call at 941-544-6467 or send us an email. We are here to help! From downtown high-rise apartments to beach or golf-course properties, Sarasota, Florida offers a range of condominium options for those who prefer maintenance-free living. Choose from spectacular beach/bay and city views, rolling fairways or serene lake vistas. 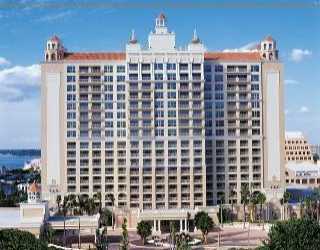 Ritz Carlton Residences - Downtown's paragon of luxury living, from the $1 millions. For more information, visit our comprehensive downtown Sarasota condos section. For more information, visit our comprehensive Longboat Key condos section. For more information, visit our comprehensive Siesta Key condos section. For more information, Visit our comprehensive Lido Key condos section. For more information, visit our comprehensive Golden Gate Point condos section. If you would like to refine your search, use our powerful MLS search tool or Contact me direct at 941-544-6467 for more information buying a condo. If you are looking for a great buy on a bank-owned property, we also have a section on condo foreclosures.